NIFTIT is extremely proud to collaborate with industry-leading partners who compliment our design and development services by offering unrivaled cloud, virtualization, and security services. NIFTIT has joined the Rackspace® Partner Network to provide your organization with a portfolio of Hybrid Cloud solutions. Rackspace is a leading provider of hybrid clouds, which enable businesses to run their workloads where they are most effective — whether on the public cloud, a private cloud, dedicated servers, or a combination of these platforms. For more information, visit www.rackspace.com. With NIFTIT as a Rackspace Reseller Partner, you can take advantage of our joint services on your next hybrid cloud solution. Compute clusters, servers, databases, and storage on-demand. Customize hardware to help you meet your performance, security, and compliance needs. A secure, scalable cloud in your data center or Rackspace. NIFTIT and VMware have developed a comprehensive partnership to provide robust and reliable solutions to our customers. We accomplished this by establishing a deep technical expertise across the VMware portfolio. VMware is the global leader in business infrastructure virtualization, delivering a complete virtualization platform—from the desktop through the datacenter out to the public cloud—that energizes business while saving energy. IT organizations and companies of all sizes rely on VMware and its industry-leading platform to achieve a more efficient, controlled, and flexible IT environment. 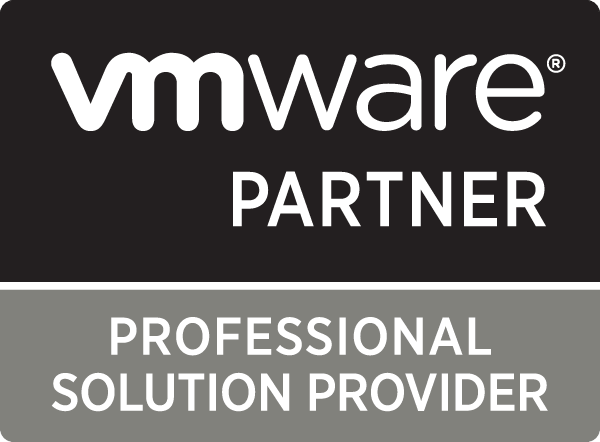 NIFTIT is accredited across the VMWare solutions portfolio: Infrastructure Virtualization, Desktop Virtualization, Management, Business Continuity, and Infrastructure-as-a-Service. We have VCP certified consultants to work with your operations.